All day the UK publisher of the Lorien Legacies by Pittacus Lore has been releasing the cover art for the fourth book in the series. It's called The Fall of Five, and a little piece of the cover puzzle has been released every hour on the hour since 10am... and just a few moments ago the sixth and final piece was unveiled and... well... folks, we have a cover! Ooh! Exciting! I like it. It's different to the others, but I like the Loric symbol in the background and I wonder what all the beetles mean... Hmm... Roll on 29th August! 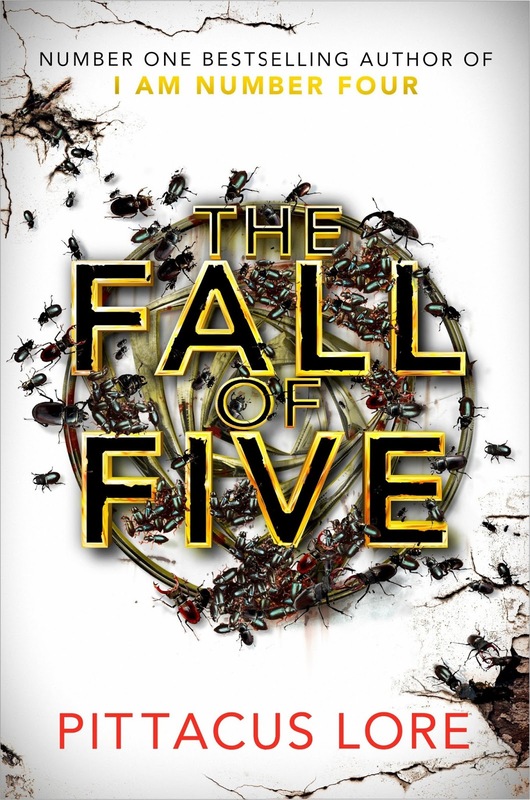 "The Fall of Five is the heartstopping fourth installment in the Lorien Legacies series by Pittacus Lore. After facing near annihilation at the hands of the Mogadorian ruler we've learnt our lesson and we won't be caught unprepared and outgunned again. We have our Legacies and we have each other. We'll master our powers and stand united. The battle may have been lost, but the war for Earth's survival is far from over."